This unanimous vote puts the UT Arlington Alumni Association in the position of being the totally independent 501(c) 3 volunteer-run VOICE of the UTA/ASC/NTAC Arlington Alumni. Our duty is not only to support the Alumni and enhance the value of the university, but also to monitor & maintain the African American, Hispanic, & Frankie Hansel Trust scholarship funds that were entrusted to our care. We plan to keep up a steady line of communication and send out messages as frequently as possible. To meet that end, we need your input, ideas and concerns. We can't address everything that comes up or solve every problem, but we assure you we will join forces with you to do the very best we can. After all, this is 'our' Alumni Association now. If you would be interested in volunteering in any way to assist or promote the Alumni Association, please email maryann.vansiclen@utaalumni.org or any other board member, to be added to the list. We will be getting in touch with you as we identify opportunities for volunteering, and we shall have OPPORTUNITIES! We understand that timing controls when you actually can and when you cannot contribute as a volunteer (we have those same limitations!). We want to communicate on a regular basis, several times each year, with all Arlington Alumni. We will be structuring our year around specific events, and these will be announced as soon as we establish what will work best for the most people. In the future, we are hoping all Alumni Association meetings will be available to all alumni on a web cast. 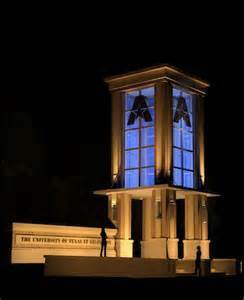 Again, we thank you for your presence and your VOTE on June 27 in favor of continued operations of our UT Arlington Alumni Association under the new Articles of Incorporation. We personally pledge to all alumni that we will carry out your wishes concerning our Alumni Association and our University to the best of our abilities. We ask that each of you continue to participate through supporting our efforts and the university's, and to communicate with your Alumni Association Board of Directors with your ideas, your concerns, and your availability.